ARRIS International plc’s ARRS subsidiary — Ruckus Networks — recently unveiled a new Cloud-Ready Specialization Program for its new and existing channel partners. It will help them enhance renewable revenue streams across multiple verticals in a rapidly growing Wi-Fi infrastructure market. 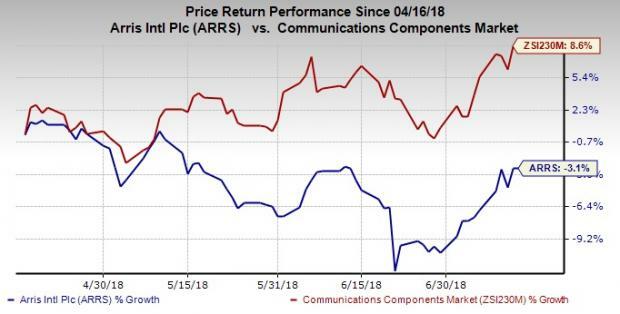 ARRIS currently has a Zacks Rank #3 (Hold). Better-ranked stocks in the industry include Turtle Beach Corporation HEAR, Arista Networks, Inc. ANET and Corning Incorporated GLW. While Turtle Beach sports a Zacks Rank #1 (Strong Buy), Arista Networks and Corning carry a Zacks Rank #2 (Buy). You can see the complete list of today’s Zacks #1 Rank stocks here.